Как сложно бывает мне, когда,я что-то не знаю, либо не понимаю и мне мучительно с этим жить! Неужели никто не осознает, пока вы будете «аморфным стадом овец» ,вы будете прекрасной машиной для замечательной и беспечной жизни тех на кого мы сейчас так жалуемся! Хочется, что б каждый понимал,что каждый из вас может делать жизнь своего города, страны лучше, но только тогда когда вы «откроете глаза» и начнете развиваться. Делайте так, что бы вы управляли системой, а не система вами!!! Students set up a tent camp and occupied the Central Square of the capital city Kyiv with political demands, especially that the mandatory military service should be limited to the territory of Ukraine. The hunger strike lasted for 15 days. The students reached most objectives, the demand about military service was the first satisfied. People started to name the Square “Maidan Nezalezhnosti” or Independence Square. This name became legit after Ukraine announced its independence. All Maidans started there. Missing journalist Georgiy Gongadze was suspected of being assassinated by order of president Kuchma. The government denied his death and introduced media censorship. Journalist’s friends set up a tent camp and started an occupation strike. The protests united opposition politicians and NGOs. To break through the government’s information blockade, protest leaders decided to set up a website. The linguist Oleksander Bogomolov came up with the name for this website and the term to describe the protest – “Maidan”. According to his definition, “Maidan” is an occupation strike in the central square of the city. The “Maidan” website and its administrators (Oleksander and me) were trying to introduce the new meaning of this word for 3 years. President Kuchma served full term. Beheaded Gongadze’s body was found and the trial is continuing. 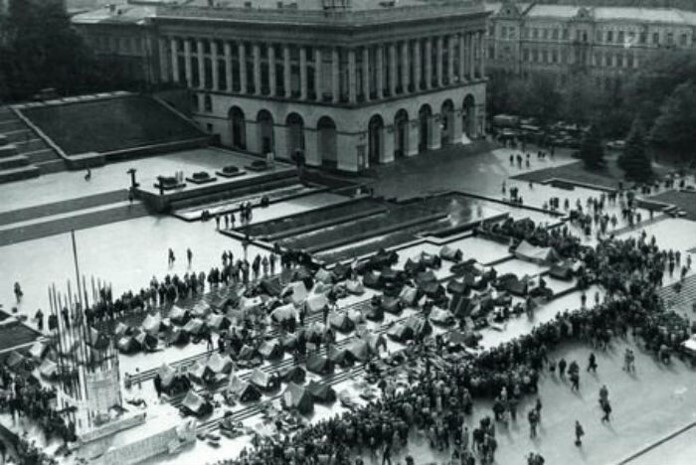 On the dawn of a cold November day, the tent camp was set up and an occupation strike started to protest the falsified results of President’s Election. The Orange Revolution introduced the protest meaning of “Maidan” word into Ukrainian language. Maidans lasted for weeks in Kyiv and many other cities, including in my native Kharkiv. The strike ended with inauguration of President Yuschenko. 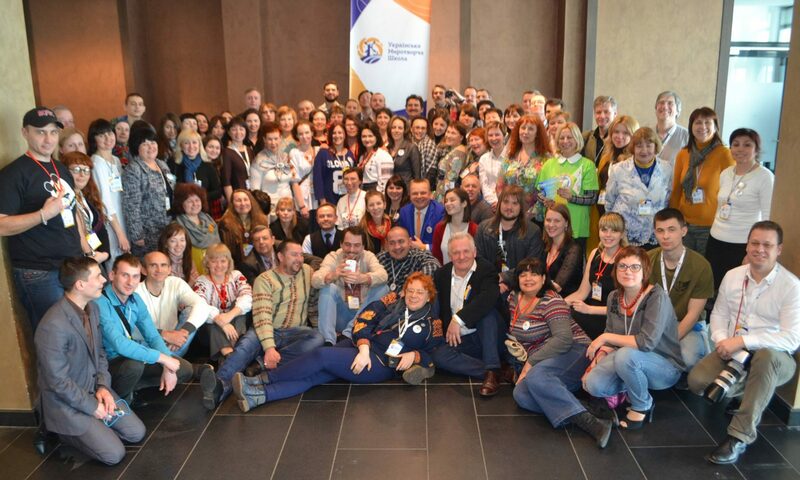 The Orange Revolution combined efforts of political parties and activists groups. NGOs played a vital role in maintaining the infrastructure of protests and fundraising. After the Parliamentary Election Socialist Party left the democratic coalition, forming majority with the reactionary parties thus violating the promises to electors. Tent camp set up with major demand to the President to dismiss the Parliament and to announce new elections. After 9 months of protests, the President dismissed the Parliament. Government introduced draft of Tax Code, which could destroy small business in Ukraine. Tent camp was set up with demand to veto the Code. Protests lasted country wide until government complied with demands partially. Parliament passed the “Language Law” perceived as a threat to Ukrainian language. An occupation strike started in Kyiv and other towns of Ukraine. Citizens demanded to recall the law. Protest was not successful. It was dismissed with brute police force. The Euromaidan or Revolution of Dignity is the real revolution in terms of political science, as it changes the social order. The key of its success is the continuity of protest traditions and the lessons the Ukrainian civic society has learned from every success and failure and repressions. 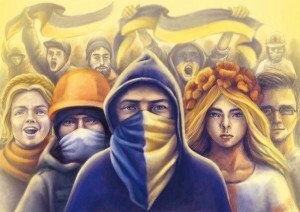 Euromaidan was joint action of civic society and politicians. However, this time civic society became the major driver forcing politicians to act, when they tried to avoid actions. This trend continues and the civic society firmly pushes government to reforms. Euromaidan formed the first volunteer military regiments and developed the broad network of volunteers supporting the military. All efforts of politicians to organize Maidans failed. Maidans are fundamentally civic. Most students striking during the Revolution on Granite participated in ALL Maidans. Each Maidan involved new organizers who carried the cause further. Communities instrumental to the infrastructure of protests were networking between maidans. The “Maidan” website was one of the major networking tools of civil society for 13 years. Rhetorical question is whether any intelligence service of the world could provide such continuity?